Why should I choose Loyal Care? The heart of our caregivers center on experience, compassion, dedication and competency to assist your loved one. We handle all phases of employment including hiring, payroll taxes, scheduling, workers’ compensation, as well as theft and liability insurance. What makes Loyal Care exceptional from other in home care services? Loyal Care is the only care business that performs pre-employment and on-going drug and alcohol screening of our caregivers. We conduct criminal, motor vehicle and reference background checks for our caregivers. We choose wisely to ensure exceptional care giving. What selection process is used to hire caregivers? We carefully screen applicants, requiring references, criminal and motor vehicle background checks, and we perform pre-employment drug/alcohol screening of our caregivers. Trustworthy, dependability, and a strong desire to serve must be prevalent. 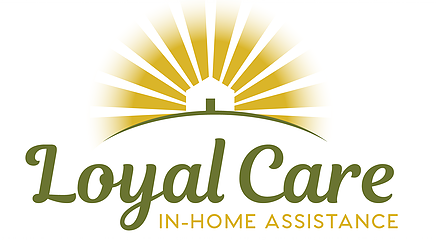 Loyal Care provides training and mentoring to our caregivers throughout their employment. What if I am interested in getting more information specific to my situation? Call us today at (406) 752-0146. A friendly staff professional is available to answer any questions that you may have about caregiving in the home. We understand that all family and health situations are unique and we look forward to creating a customized in-home care solution for you or your loved one. Would I always be able to get the same caregiver? For peace of mind, we strive to provide the same caregiver to our clients. If a caregiver is ill or can’t make it to an assignment for any reason, a backup caregiver will be provided. If you are in need of 12 or 24 hour care, we will provide a team of caregivers. Our caregivers get to know the client and develop a bond of friendship. Is there an option for one day visits? Absolutely! There are no limited visits required. Visits can be established on a daily, weekly, or monthly basis based on the needs of the client. What is "non-medical" in-home care? Non-medical in-home care are services excluding medical intervention or procedures that are related to giving comfort and relief to a client. Monitoring vital signs, blood sugar levels, injections, or grooming of finger or toenails would be considered medical care. Our nurses are available to provide medical care should a client require an injection or other skilled nursing needs.